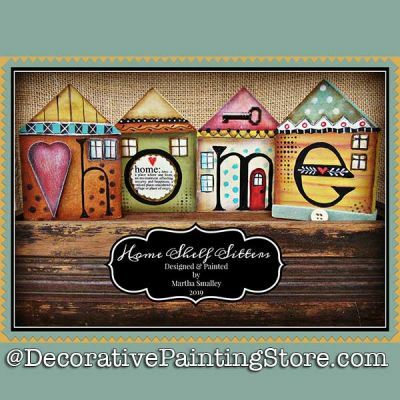 4 House shelf sitter cutouts painted to spell out HOME. Approx. 5" tall.